I stumbled upon this game quite by accident, but I must say that I am glad I did! 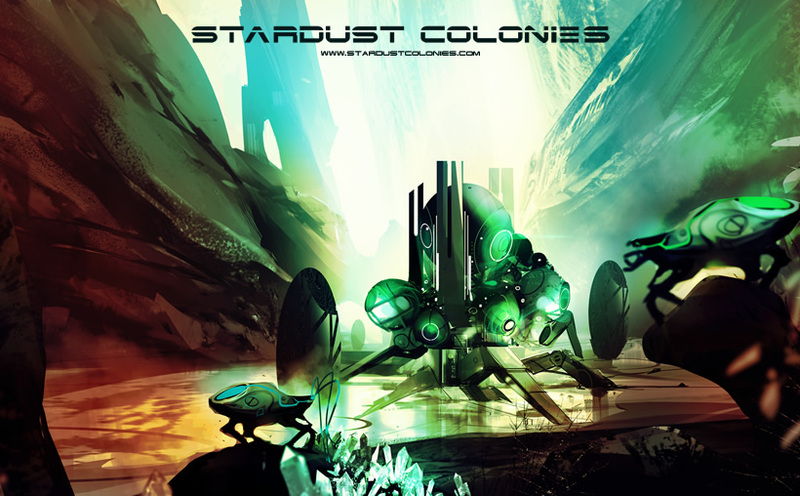 "Stardust Colonies" is an AI-driven sci-fi RTS game where you manage not only the actions but also the emotional state of your minions in order to achieve goals and mission objectives. In the game you play as a Gorgan; an advanced race of scientists and explorers. The Gorgan utilize lorkans for all the work needs, controlling them through long-range telepathy. It is with these lorkans that you will conquer and colonize new planets and ultimately the universe itself. Though it sounds very negative (these guys are basically slaves), this game affords you the opportunity to "become a generous and caring explorer of the vast space or a powerful and merciless ruler. Or something in between." The game is being spearheaded by Lenka Pitonakova, a PhD candidate in Swarm Robotics. (I didn't know what it was either.) It started out as an undergraduate thesis project, but it has since progressed into something that she is now looking to take public. "Stardust Colonies" has a really interesting premise and a passionate designer behind it, definitely worth giving the Kickstarter page a view. I look forward to see where the game goes from here. At least we can count on the AI being interesting!